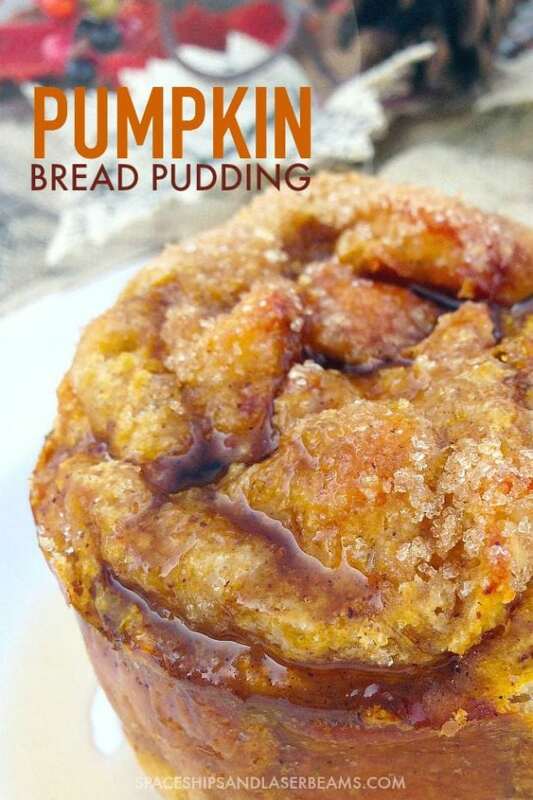 Is this pumpkin bread pudding a breakfast, a snack or a dessert? It could be considered all three! 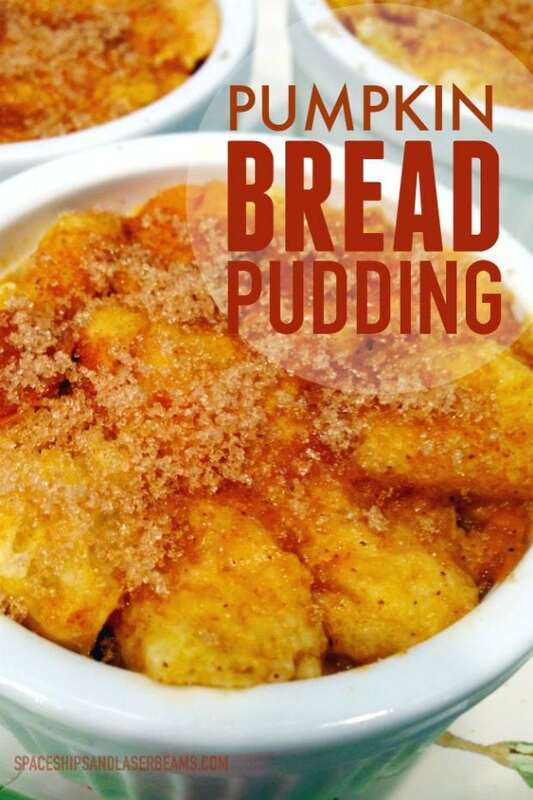 This recipe is reminiscent of French toast so I could see it being a great inclusion in a holiday brunch buffet menu as well as a special dessert table option. Heck, why wait for a particular occasion—just make it as a welcome surprise for your own family! Check out this yummy pumpkin banana bread recipe. You’ll love this blondie brownie recipe. 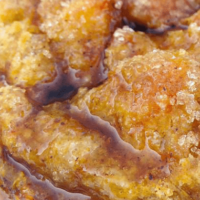 Don’t miss this incredible monkey bread recipe — it’s divine! In a medium mixing bowl, whisk together eggs, vanilla extract, pumpkin spice, almond milk, and maple syrup. Add pumpkin puree. Mix well. 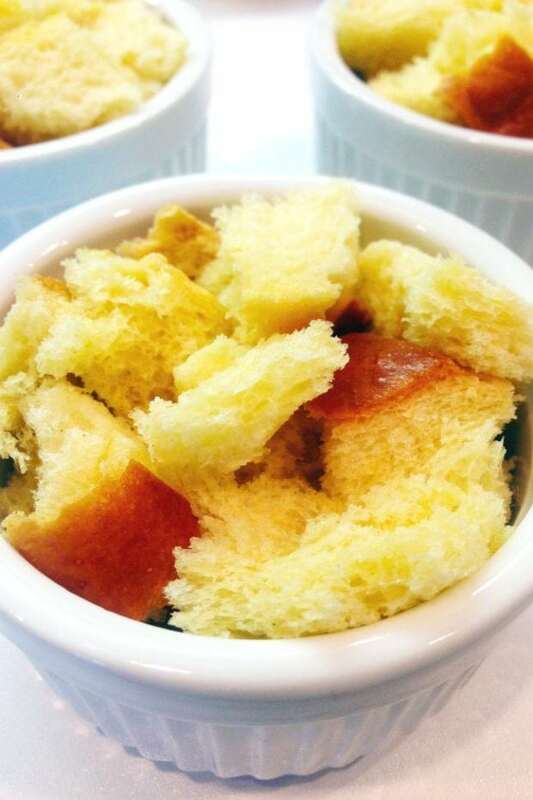 Using 6 ramekins (individual serving size), tear apart 1½ pieces of brioche for each ramekin. Fill halfway full of bread and pour about half of the egg mixture on top, distributing evenly in each ramekin. 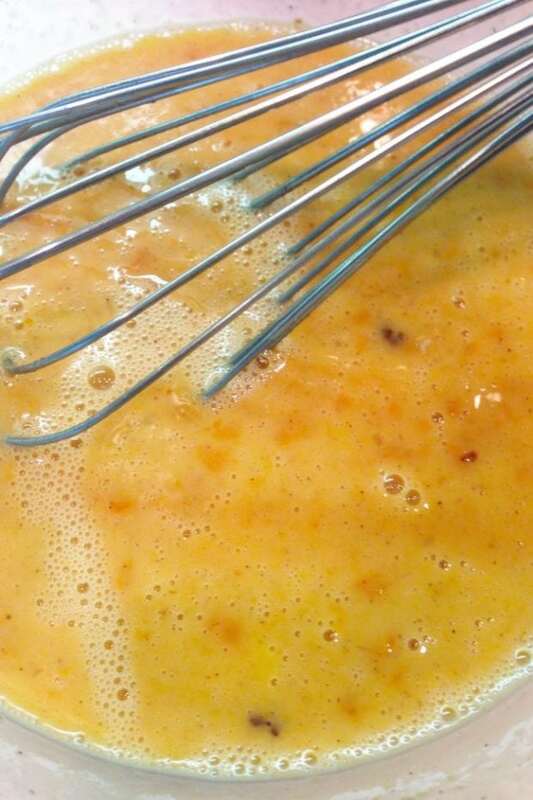 Use a spoon to pat down thebread so that it soaks up the egg mixture. Fill the remainder of each ramekin with the bread. Pour the remainder of the egg mixture into each ramekin. Pat down the bread once again. Place ramekins on a baking sheet. Cover with plastic wrap and keep in the refrigerator for 12 hours. Preheat oven to 350 degrees F. Remove ramekins from the refrigerator. Remove the plastic wrap and bake in oven (on baking sheet) for approximately 30 minutes, or until golden. Remove. The contents of each dish will rise quite a lot, but they will settle within a few minutes after removing from the oven. Sprinkle brown sugar on top of each serving. Add additional maple syrup if you so desire. Serve and enjoy! Bake a treat they will love with these great sources gathered by the crew at Spaceships and Laser Beams. Such a great dessert for fall.